If you have been working and living in Bukit Merah, you will definitely know ABC Brickworks Food Centre. 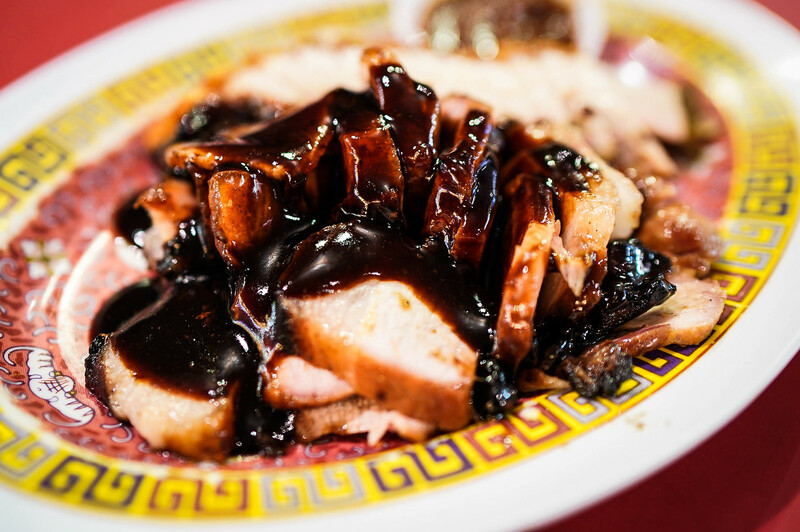 One of the must-haves at ABC Brickworks is Fatty Cheong’s (肥仔详) signature Char Siew Rice. 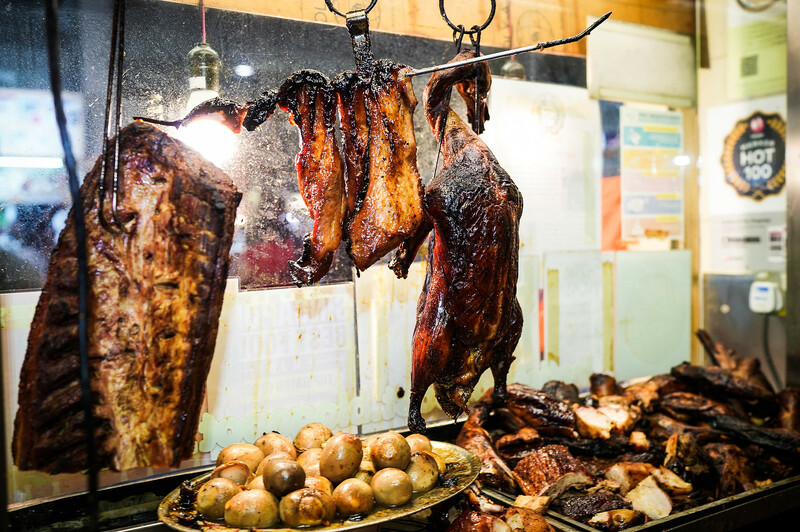 This place serves one of the best char siew in Singapore. 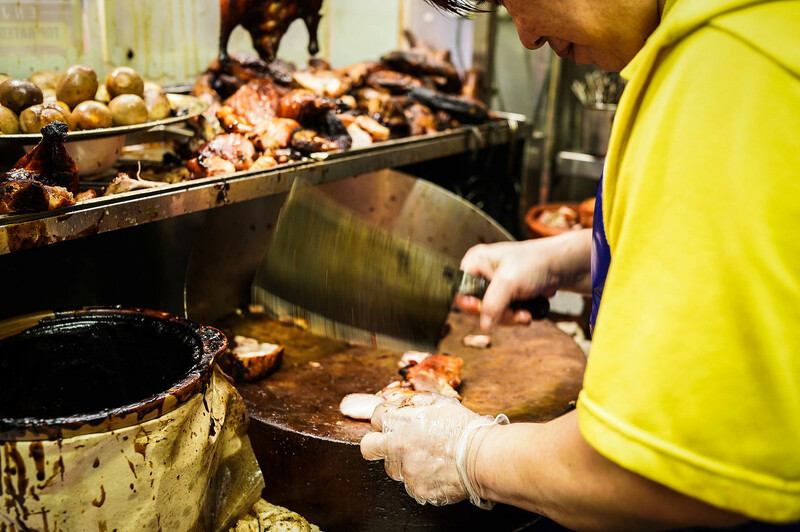 The stall is famous for their Bu Jian Tian char siew which is a cut from the pig’s armpit area. The meat is perfectly roasted and extremely tender. Even the dollop of mildly spicy chilli sauce on the side is tasty. It is self-service here. You place your order, make your payment and wait to collect your food. 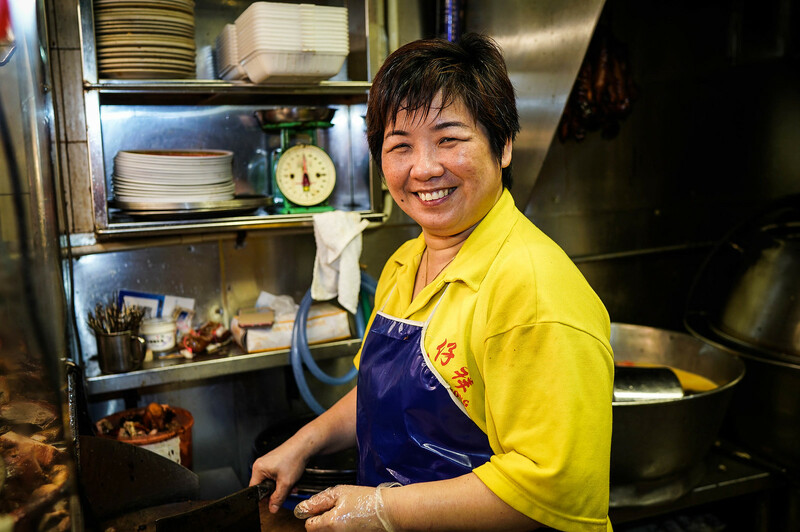 Every time when I visit Fatty Cheong, I am always greeted warmly by the lady boss. 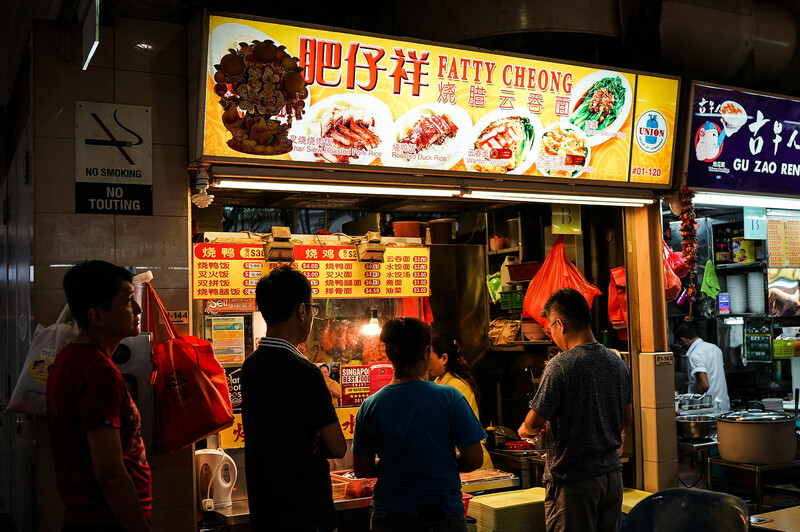 She manages the stall with her son while uncle takes care of wanton noodle at another stall. 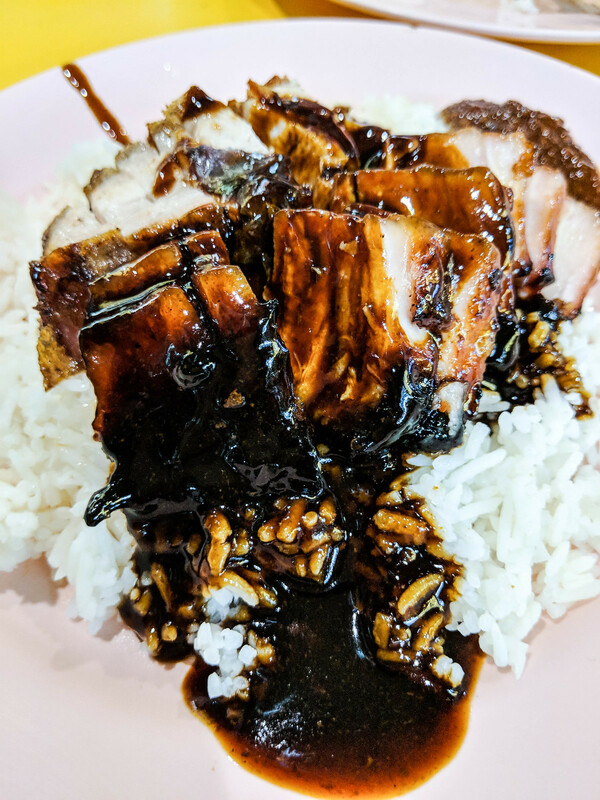 Here we have a plate of charcoal-grilled char siew drenched in a thick black gooey gravy that is slightly sweet. Some may not like it, but it reminded me of my childhood when my grandfather would always get me a plate of rice drenched in all kinds of gravy. The thick and meaty chunks carried a smoky aroma that can be tasted even through the amount of gravy that it was drenched in. 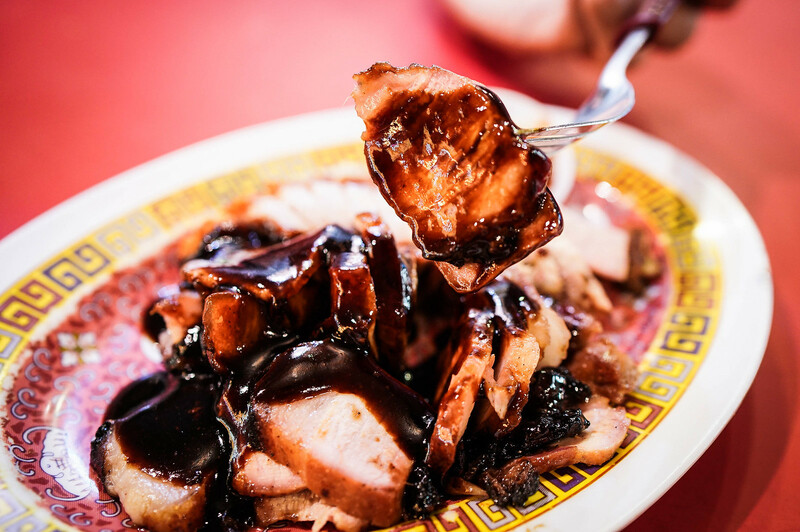 The char siew has a good proportion of fat and lean meat, and the meat is just a tad chewy and packed with flavour. 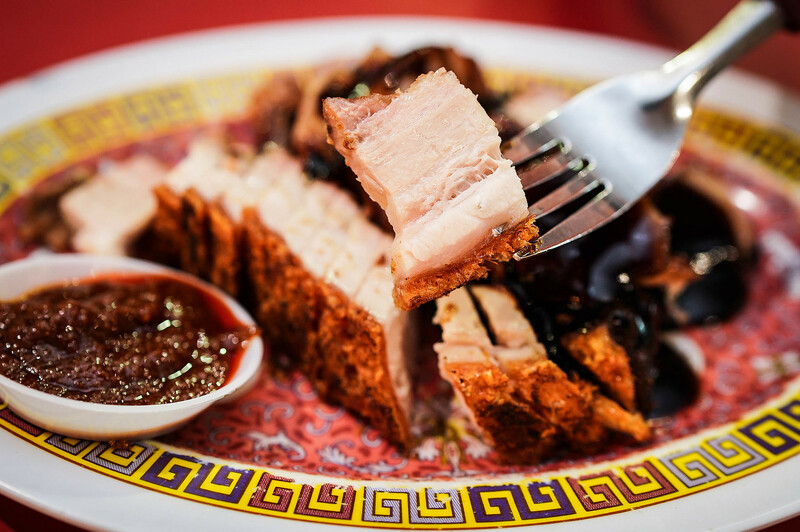 The roast pork belly has a lovely tenderness, too, and comes with a crispy crackling. 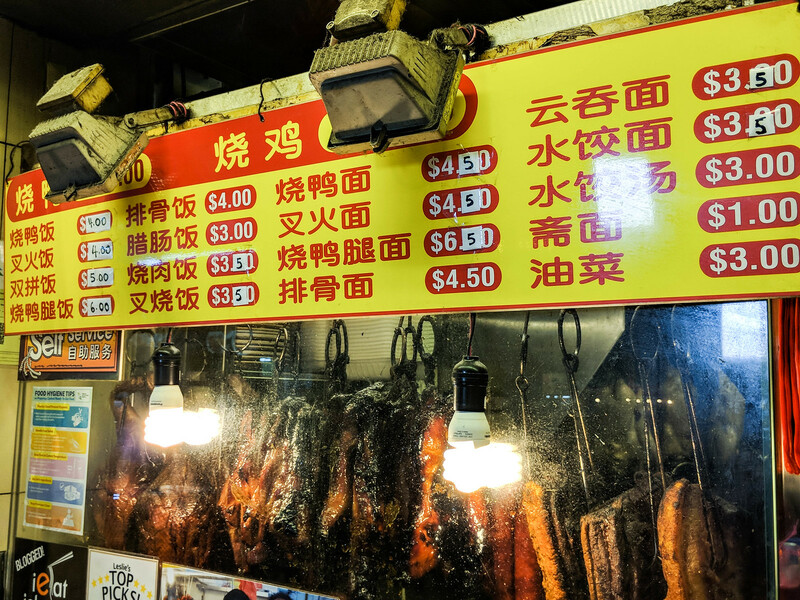 However, I still prefer the ones I had at 88 Hong Kong Roast Meat Specialist at Tyrwhitt Road as it is fattier. 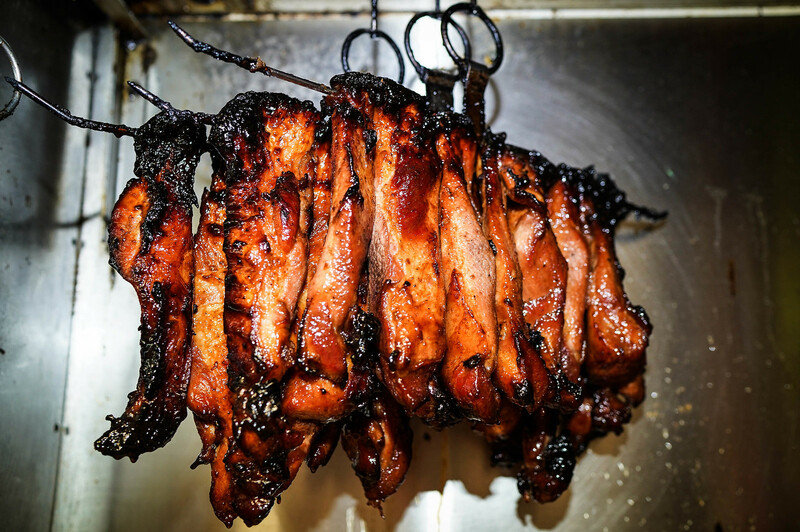 If you are not sure what to order, go for their duo combo — Char Siew & Roast Pork Rice ($5). It can never go wrong.